All awkward hiatus aside, today I've got some fun semi-transparent nail art using the Zoya Kisses Pastel Jellies collection. I started with a white base color, then dripped Princess, Libby, and Vickie one at a time. Immediately after each color was dropped I blew on my nails to spread them across each nail bed. Thereafter, I followed up with a coat of Leia. And because, well, why not? 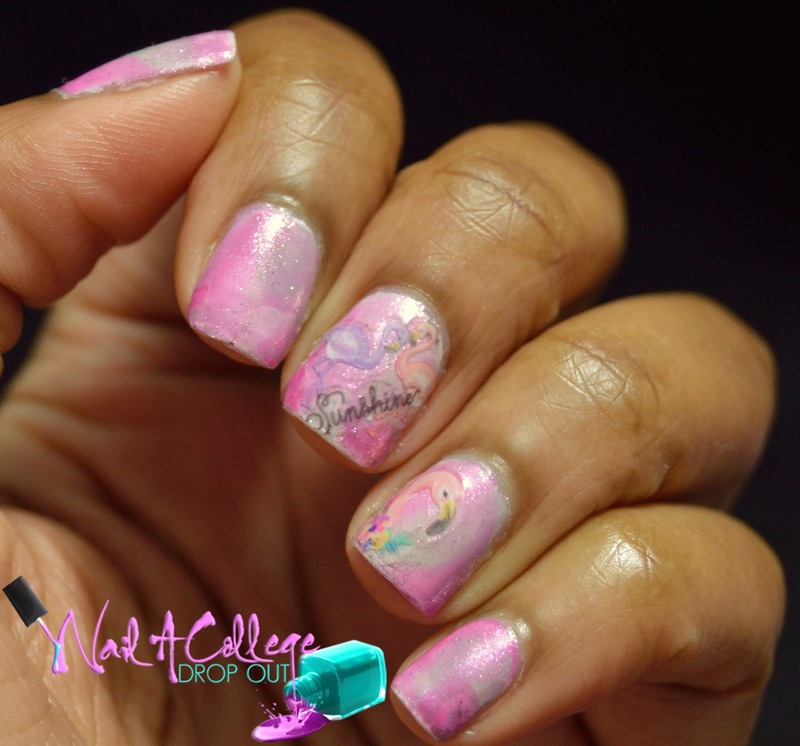 I added some flamingo decals I bought umpteen months ago to my middle and ring finger. 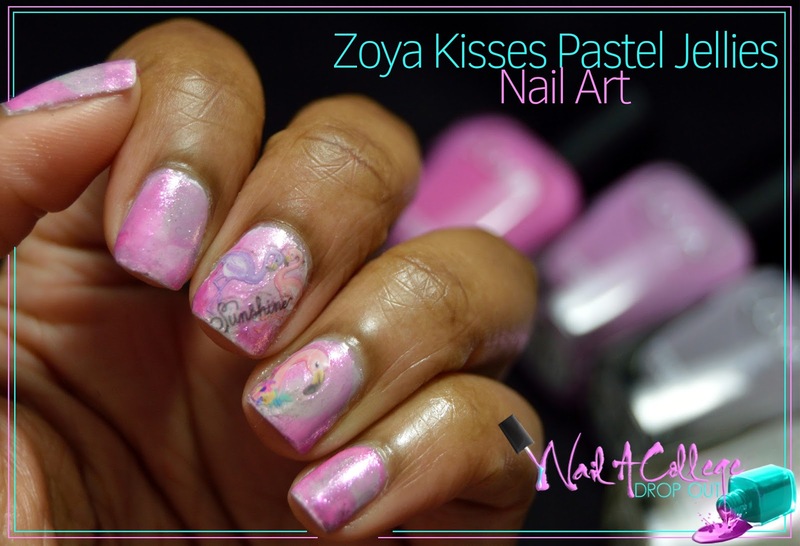 Zoya Kisses is available now in salons and Zoya.com. Click HERE for the full release. These Jellies are fun, but I'm still really hoping Zoya release more Satins. *crosses fingers* What's your favorite Zoya finish? Let's catch up in the comments.